China released its first quarter GDP results this morning. A blistering 9.7% growth - though it did come with a pretty high inflation rate as well. IMF's forecasts last week suggest that by 2016, the average Chinese will attain a third of the standard of living of the average Japanese, not bad for a developing economy. 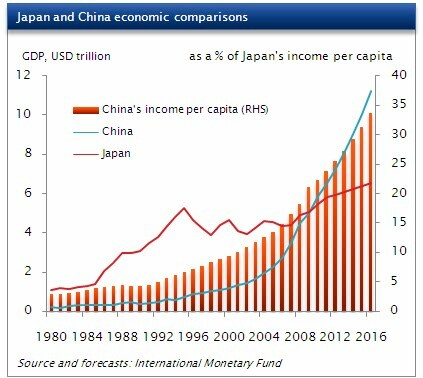 But I'm sure i'm not the only one who sees the same 1980s Japanese bubble re-emerging in China in this decade. Hopefully it wont be a Plaza Accord scenario or anything worse. Don't think the world can take anymore surprises.